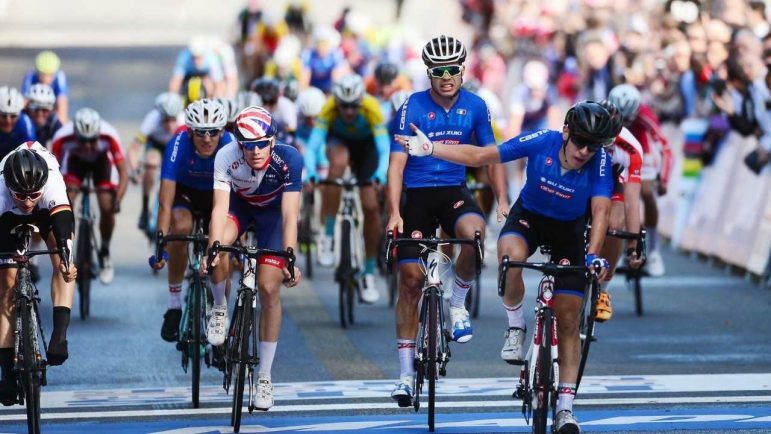 CYCLING: FORMER Solihull Cycling Club racer Jake Stewart was denied a podium position in the World Junior Road Race Championships by the width of a tyre. During the closing stages of the 150km race, Stewart was in the peloton chasing down a small group of riders at the front of the field. From nowhere, he burst through the pack, igniting a challenge for the lead. But he couldn’t quite round a pair of Italian riders and was forced to settle for fifth at Johansen from Denmark took the honours. Based in Coventry, Stewart will now step up to Under 23 level next season. And Solihull Cycling Club president Guy Elliott heaped praise on his former team member. He said: “Congratulations from every single club member go out to Jake Stewart who has achieved one of the finest racing successes in the history of our club. “The result caps an outstanding season in which Jake has represented Great Britain on numerous occasions. After scooping a silver medal for Team GB at the European Championships in Team Pursuit earlier this year, Stewart has gone on to secure medals on the road and on track – including the British National Madison Championship title with his partner Rhys Britton. He said: “The lads did a good job today and it’s a shame I couldn’t finish it off and win the bunch sprint but that’s how the legs were and it was a tough race.